Cubicle bedding in Nottinghamshire provided by P.H Winterton and Son, helps newborn calves start life in a comfortable environment. The first couple of months of a calves life is pivotal as it adjusts to nursing from the mother and starts to eat grass or hay itself. It isn’t just the calf that needs top care either, the mother cow will need regular water and plenty of good quality feed to make sure she is producing all the nutrients her calves require. Cattle have four stomachs but at birth, only the abomasum (or fourth stomach) functioning, as the calf starts to grow the other stomachs (rumen, reticulum and omasum) will develop; making it vital to provide quality hay to eat as well as cubicle bedding that will guarantee a comfortable sleeping environment. We understand cows who aren’t comfortable will often become distressed leading to poor quality dairy being produced, but our two types of cubicle bedding will ensure a cosy living space for cows and calves alike. Here at PH. Winterton and Son, we offer two types of cubicle bedding in Nottinghamshire; each with their own unique qualities. 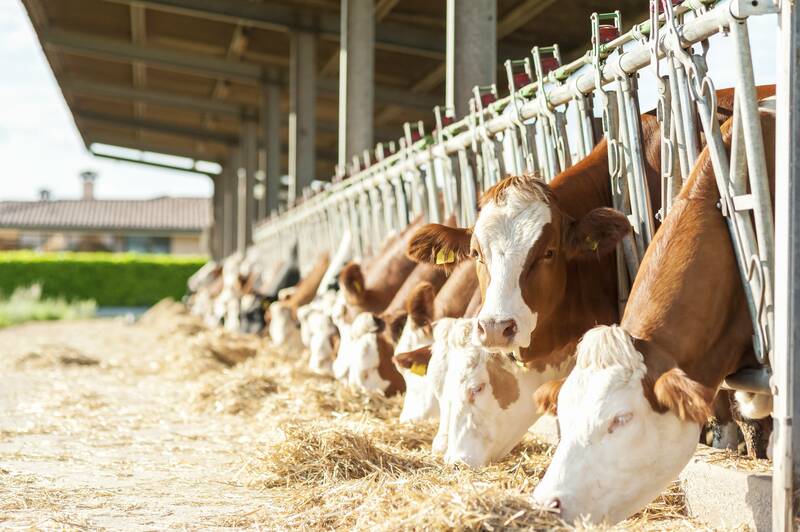 Soft Dust Cubicle Bedding – Made from kiln dried 100% softwood which helps prevent abrasions of the udder or legs, leading to poor quality dairy production. Thermally insulated and with excellent traction, soft dust bedding will keep your cow’s happy and productive. Agri-Dust Cubicle Bedding – One of the most popular brands of sawdust in the UK, agri-dust bedding is easily spreadable with grains screened to 3mm or less meaning there’s less chance of abrasion or illness brought on by the bedding. From our base in the North Midlands we provide the best cubicle bedding in Nottinghamshire as well as Derbyshire, Staffordshire and Cheshire plus many more. If you’d like to know more about our cubicle bedding or any other our other products including biomass fuel – please get in touch today.